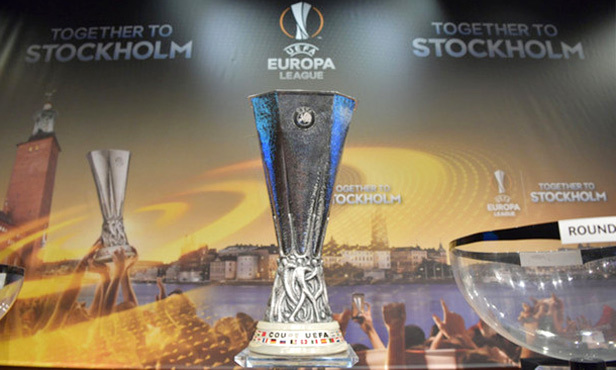 Without much time so savour their qualification, the draw for the last stage of the Europa League is already looming. It will take place in the early afternoon at UEFA headquarters in Nyon, Switzerland. This is the third time in its history that Olympique Lyonnais has reached a European semi-final, after doing so in 1964 in the Cup of Cups against Sporting Lisbon and in 2010 in the Champions League against Bayern Munich. There’s thus one last hurdle to overcome to reach the final in Stockholm on 24 May. The draw, which will take place in Nyon (Suisse) today at 1300 right after that for the Champions League, will reveal which team will present themselves as Bruno Genesio’s players’ next serious customer. OL could be up against Claudio Beauvue’s Celta Vigo who got past Racing Genk in the quarter finals (3-2, 1-1). Another possibility is a Ajax Amsterdam, surprising but convincing victors over Schalke 04 (2-0, 2-3). That is unless OL are presented with a prestigious tie against Manchester United, who had to go to great lengths to undo Anderlecht (1-1, 2-1 after extra time). Celta Vigo, Ajax Amsterdam or Manchester United: draw results in the early afternoon. The ties will be played on 4 and 11 May. Season pass ticket office open this afternoon.